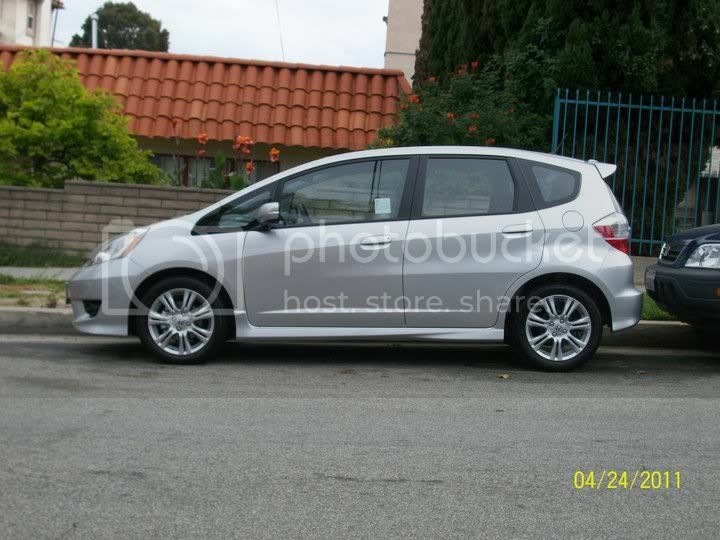 My fiancee has had her 2011 Honda Fit Sport for over two years now. 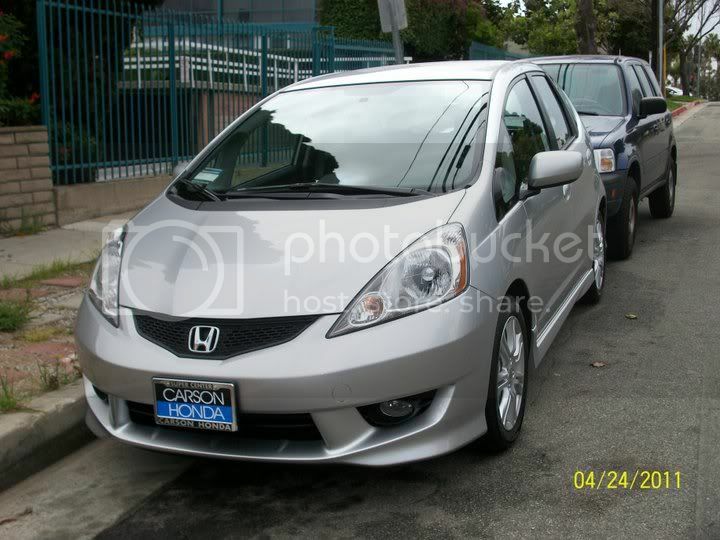 In those two years, the Fit has performed very well, both as a people mover and cargo hauler. When we were searching for a car to replace the aging 1997 Honda Accord LX that I had sold to her, the Honda Fit was not actually her first choice. The first car we looked at was a certified pre-owned (CPO) 2006 Acura TSX. My fiancee enjoyed the car, but the price was unfortunately a bit out of her price range. Another car that piqued her interest was the Acura RSX. Unfortunately, at the time we were looking, the only two Acura RSX that were available near our area were both Type-S models. This meant that she would have had to learn how to drive a manual transmission in two days, which she did not have the patience or the time for. Having to spend extra money on 91 octane fuel also bugged her. In an effort to find her something sporty, roomy, had an automatic transmission, and did not drink 91 octane, I thought of the Honda Fit. It was a car that met all of her criteria, and I thought she would find it cute and would fit her bubbly and fun personality (a point that to this day, she still will not let me live down). A brand new Honda Fit was actually something neither myself nor my fiancee had even thought about while looking for a replacement for the Accord. We had originally looked at three current generation CPO Fit Sports, as well as one first generation CPO Fit Sport before ending up at Carson Honda. We went to that specific Honda dealer to look at a light blue, 2009 CPO Fit Sport. After test driving it, we both came away impressed at how well the car was maintained. Since the price was pretty decent, we decided to sit down with the salesman and crunch some numbers. Taking into consideration the current finance offers on CPO vehicles, the salesman helping us decided to look at what finance offers were available on brand new Fits. Along with current offers and with Honda's "Recent Graduate" program (my fiancee had just gotten her master's degree a year ago), we ended up with an interest rate of 0.5% rather than 6.5% on the CPO 2009 model. After doing some more number crunching, the three of us came to the conclusion that financing a new Fit would actually cost less in the long run than a CPO one, and that is how she ended up with a 2011 Honda Fit Sport. As I had mentioned earlier, the Fit has thus far performed admirably as both a people and cargo hauler. The real test of the Fit's gas mileage, cargo and person hauling capabilities came when we decided to visit my fiancee's family in Sacramento in November of 2011. During the drive there, only my fiancee and I were in the car, along with three days worth of luggage for the both of us. The seven hour drive (including a one hour stop for dinner) took us on the northbound 405 freeway during nighttime rush hour, and connected to the northbound interstate 5. During the drive to Sacramento, we averaged roughly 39.5 miles per gallon, which is 6.5 miles per gallon more than the EPA highway estimate. We probably would have been able to make the trip on one tank of gas if the Fit's gas tank was larger than 10.2 gallons. The return drive became the real test, as there was now an additional person, as well as that person's luggage along with other assorted stuff my fiancee and her friend's parents gave them to take back to LA. There was so much additional stuff in the car, that we had to fold one of the rear seats down in order to fit everything in the back. Despite the added weight, we were still able to average 38.1 miles per gallon on the return drive, and that was with me at the helm with my lead foot. Needless to say, I was quite impressed. The trip to Sacramento also allowed me to look at other aspects of the Fit, such as its ability to climb hills. Taking the northbound interstate 5 takes you through an area known as the "Grapevine." This area includes a steep hill climb that starts with a sign recommending that cars turn off their A/C to maximize power. I was a little bit skeptical with the Fit's ability to climb this hill at first, seeing as the car comes with a tiny 1.5 liter inline-4. As we progressed up the hill though, I thought it pulled nearly as hard as my old 1997 Accord's 2.2 liter inline-4. Keep in mind that my old Accord had a cold air intake, after market exhaust headers, and an aftermarket exhaust adding power to the engine. Even during the return trip with all of the additional cargo and extra person, the Fit pulled through the Grapevine without breaking a sweat. Besides the surprisingly good power delivery, Honda has done a great job with the Fit's handling. While the base model Fit is going to be softer and spongy feeling, the Sport balances comfort with a sporty ride. While I would not exactly consider the Fit Sport's handling neutral by any means, it still does a great job of tackling twisty roads. The Fit Sport's steering is also fairly communicative for an electric power steering rack. It is still not as good as my S2000, but considering the Fit's target audience, I was still impressed. While the handling is easily one of the best in the subcompact market, it is not without its faults. Body roll is still prevalent, as the vehicle's height raises its center of gravity. A set of stickier tires and better brake pads probably would not hurt either. There is a lot more great details about the Fit Sport I could talk about, but that would leave me little else to write about for future posts. Look out for my second post about my fiancee's 2011 Honda Fit Sport in the next few weeks, where I will talk about the interior as well as maintenance costs thus far.